Using Our Energy to Save Yours! We Do Our Own Work, No Subcontractors! When you need insulation for your home, especially an older home, go with the name you can trust, Tom’s Energy Shop. We specialize in attics, sidewalls and crawl space insulation. We’re the one name you need for blown-in cellulose and fiberglass insulation! A drafty old house can wreak havoc on your energy bills. On top of that, they’re chilly in the winter and uncomfortably hot in the summer. Tom’s Energy Shop has the solution. 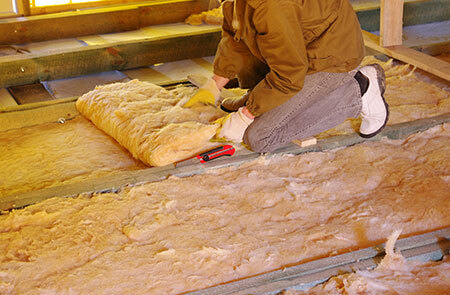 When it comes to insulation contractors in Wood County, OH, we’re the experts, especially for older homes. We’ll blow in cellulose or fiberglass insulation and even repair your plasterwork. Our expertise includes annex insulation, attics, sidewalls and crawl spaces. Let us show you the dramatic difference a well insulated home can make. We’ll turn your older home into an up-to-date, energy efficient living space you can feel good about. We specialize in older home insulation and can maximize your home’s energy efficiency. We blow in cellulose or fiberglass insulation. We’ve been in business in the area for over 30 years. We’ll give you a free estimate on any insulation services you might require. Just give us your name and contact information and we’ll answer all your questions. We can’t wait to get started.